expert in a week, but it's confusing and disorganized to do so. 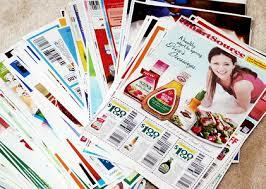 Many new couponers spend a lot of time getting to know the terms and clipping coupons they will never use. All that time adds up to dirty dishes, unfolded laundry, and TV shows missed! You can streamline the time spent sorting and cutting pretty easily. Step 4: I start looking at Hot Coupon World database for any coupons I may have missed. I type in any food item I want a coupon for and see if it's listed in newspaper coupons. Step 5: While looking at the inserts, if there is an item I want go ahead and cut it. I know I'll use it before expiration. Step 6: Put these coupons with my Penny Pinchers organized by layout of the store. In My store: Produce, branded Meat, condiments, canned veg, ethnic foods, baking, cereal, cleaning, dairy, breads, frozen. Pretty simple.